Whether you are a new customer who isn’t sure where to start with our extensive menu, or you are a regular guest who has a favorite dish and sticks with it, this list is designed to guide you. These are five of our most popular, stand-out dishes at Marcello’s. Give them a try! You won’t be sorry! Pork Osso Bucco – This is our own unique twist on the Italian tradition. This slow-roasted pork shank is nestled on a bed of our homemade, garlic-infused mashed potatoes, then topped with sauteed mushrooms & jalapenos in a Dijon-Chianti cream sauce, and accompanied by a side of seasonal vegetables. The creaminess perfectly offsets the spice of the peppers to create a balanced sauce you will dream about for nights to come. Capellini di Mare – This dish combines large, fresh sea scallops, perfectly pan-seared, with fresh basil and tomatoes in a tomato-cream sauce. Yes, it is a rich dish and very filling, and no, you will not regret indulging! Linguine con Carne – A long-time local favorite, this pasta dish is definitely not the prettiest item on our menu. Don’t let its appearance fool you! Spicy, ground Italian sausage is sauteed here with mushrooms and red onions in your choice of garlic cream or marinara sauce. The local secret? Ask your server to combine the two sauces, and enjoy the best of both worlds! Risotto – Every night we offer a different Risotto, featuring some of the chef’s freshest and finest ingredients currently available. Each risotto is its own masterpiece – creamy, cheesy, and full of goodness. You can’t go wrong with this option. Pesce – Our nightly Pesce special is also a sure-fire bet. Our seafood is always fresh, and always expertly prepared. Whether it is a Hazelnut-encrusted Steelhead topped with Dungeness Crab or a Blackened Wild King Salmon with a lime crema, you won’t regret choosing the Pesce! 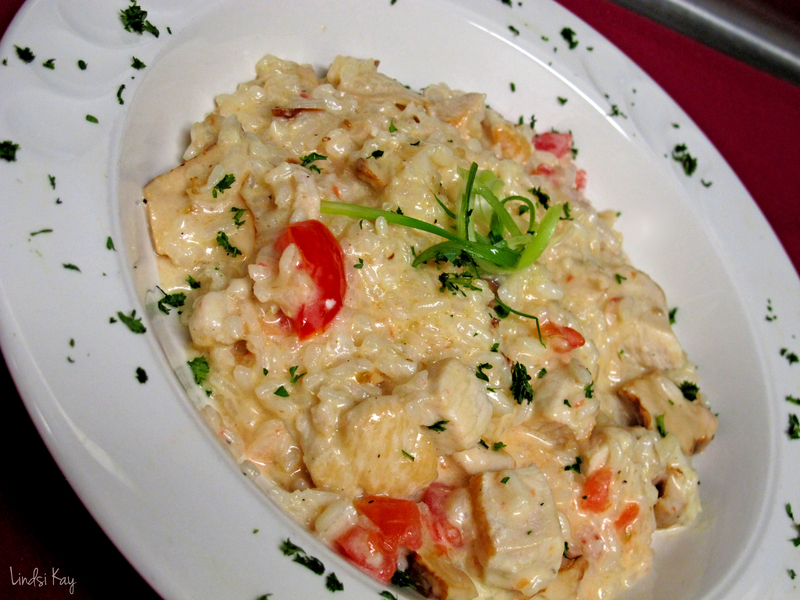 What is your favorite dish at Marcello’s? Tell us! Here at Marcello’s, we are especially conscientious about dietary restrictions. Numerous members of our own family have severe food allergies, so we grew up aware of the complications this can pose when dining out. We make every possible effort to avoid cross-contamination in our kitchen, and we even have a special allergy alert system in place on our computers so servers can make the kitchen aware of a guest’s needs. Because our food is made fresh to order, it is easy to for our staff to accommodate dietary restrictions. Need that dish without cheese? No problem! Gluten-free pasta? You got it! In fact, we also have a gluten-free pizza crust option, complimentary gluten-free crackers and almost every dish on our menu can be fashioned gluten-free. So if you have a dietary restriction, don’t be afraid to let your server know. We are happy to help you with your abundant choices. Because no one should be afraid of their food!